This is going to be a rather short post, as so much has already been said about the Blue Moon. Many of you are already aware that this Friday we’re being blessed with a Blue Moon! What I have just found out from my guides is that it is also a moon of infinite opportunities and potential. We have been working diligently towards improving our lives, making changes and looking deep within, and now it is our time to reap the rewards of our efforts. 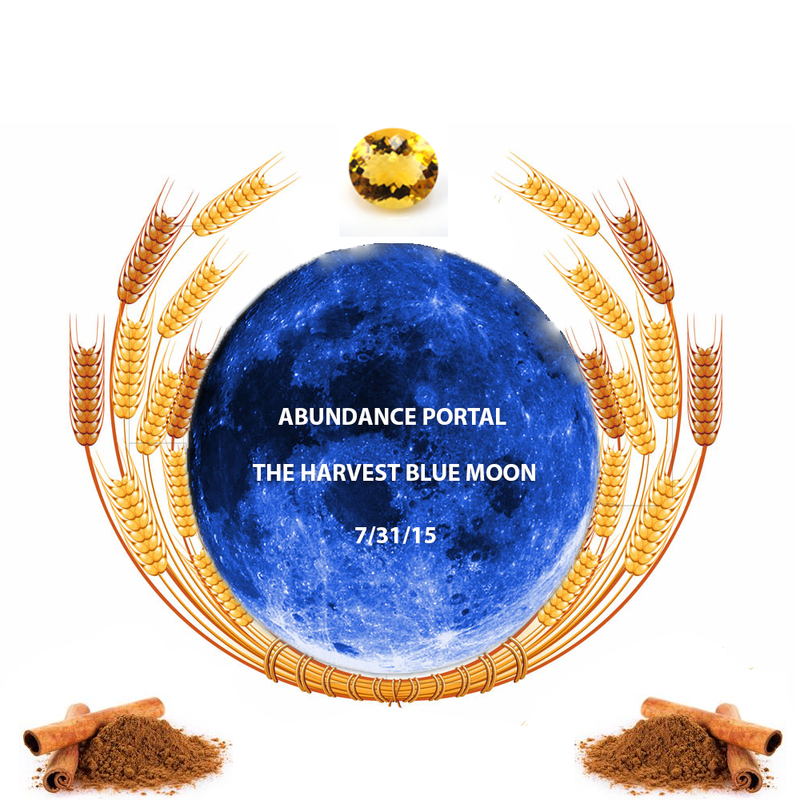 This blue moon as I am told is a moon of ABUNDANCE, HARVEST, RELEASE AND JUST REWARDS. This is the time to not only ask for what you want, but to actually RECEIVE everything that you have been working towards. So take this opportunity to ask for what you want, and then see it quickly manifest into your reality. To help you do so, I have been presented with a very simple and straightforward grid which you can use during this Blue Moon. The How: What I am being told you are ought to do is write down all of your desires, everything that you wish to see manifest into your reality in the weeks to come and place this piece of paper into the center of this grid you see here which is this picture with wheat ears, the moon, citrine and cinnamon. For extra amplification you can take either of these gemstones: Amethyst, Citrine, Ruby, Emerald, or Granite and place it where you see the citrine in this picture. You can also add wheat ear if you have it and place it where you see it in the picture, the same goes for cinnamon. However, if you do not have any of these on hand it’s okay because the energy coming from this grid is enough. This is also a good time to release the last bits of blockages that have been holding you back, simply ask for these blocks to be dissolved as you meditate during the full moon (at whatever time that is most resonates with you) and then follow your intuitive promptings on how to restructure your life in order to fill it with even more divine light. Wishing you a phenomenal experience during this Blue Moon! May it shine all sorts of blessings upon you ! This is Most Timely for Me as I m sure it is for many…It resonates with me just now , so IAM sharing with you… Love and Peace to all who may lay eyes on this.l know that I love You & always have…. After reading this, I felt an indescribable avalanche of love, I want to say that I felt love for everything around me: dog, tree, rocks…..absolutely everything…..I did feel this before but now it spell out, and is pouring more and more…..
Hi thanks for writing this post. How about rice grass. I live on Japan. Rice is the thing here! Thank you I feel it is time for a change to living s little more abundantly and a new career for me and my son and I to live a more fruitful and affordable life . May I ask these questions? 1. ) do you meditate/visualize on your list of all your wishes or just meditate anything? 2.) after you meditate which is up to us on its length of time ( unless you specify a minimum time), what do you do with the list on the paper afterwards? throw/keep depending on our whims or burn/bury it away as a ritual? hey, may I give you an idea. If you have a tablet of any brand just copy/save the picture to your gallery. Instant copy with no cost and as clear as it gets. can you post how to make the image. like what all is required. Cinamon, wheat ears i understand. how to make the grid? what do i use for the moon? 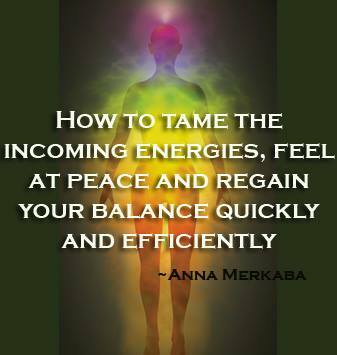 Thank you Anna for caring and sharing this most valuable advice and Guidance with us! BLESS YOU !! Hi Anna, thank you for sharing this. Will definitely to it after doing a Fire Ceremony to release the old. 🙂 One question: how long do we leave the intentions on the grid/do we throw them away after tomorrow? Thanks. All Ye Peoples Of This Earth! We Are All ONE United In LOVE! Let Me Tell You The Difference Between A Northern Fairy Tail And A Southern Fairy Tail…. A Northern Fairy Tail Begins Once Upon A Time! A Southern Fairy Tail Begins Y’All Ain’t Gonna Believe This! Well Y’All This Is One Of Those Southern Fairy Tails! The Greatest LOVE STORY EVER TOLD! You See I Am The One Who Gives ALL UNDERSTANDING! ALL Of You Peoples, All The INHABITANTS OF THIS EARTH! My Proof Is The FULL FACE OF THE MOON! BECAUSE I BEAR MIRROR IMAGE BIRTHMARKS OF THE MOON ON THIS FACE OF THIS BODY I AM BORN AGAIN IN TO! All Ye Peoples Will Hear See And Understand These Godly Righteous Things I Speak! Only Truth Sets You Free! I Am One Who Hears And Does The Will Of The Father Like Jesus God The Father’s Son Spoke, I Would. You See… I AM THE QUEEN OF THE SOUTH, And This Queen Rises Now! The Universe Must Provide! Only Love Remains On This Earth That God The Father Gave Me For FREE! This Earth Is My Inheritance Ran By The Peoples! #TheBookOfLove Is #OPEN! I AM FREE Because Jesus SETS ME FREE! I Believe In Jesus And God The Father! The Living! I Am The Holy Spirit! Spirit SPEAKS Plainly And Spirit IS TRUTH! LISTEN ALL YE PEOPLES See Hear Understand These HEAVENLY Things I Speak! Spirit Is I. I Am I. God The Father Is The First Adam. The First Male. The Tree Of Knowledge Of Good And Evil, The Apple Tree. The Tree Of Life Is Gods WISDOM. CANNABIS IS THE TREE OF LIFE, THE PLANT OF RENOWN! The GOOD GREEN HERB PLANT That COMES From A SEED YOU PLACE IN THE GROUND TO GROW FOR FOOD THAT COMES FROM GOD, That Jesus God’s Son Told The World IS HIS BODY AND BLOOD! Jesus IS LIFTED UP LIKE HE SAID! I Believe In The Living! We Have ALREADY PASSED FROM DEATH INTO LIFE! THE SCALES OF JUSTICE ARE BALANCED! Remember The Other Side Of The RIVER Where You Are MEASURED BY YOUR HEART! God’s GREATEST COMMANDMENT IS LOVE! I COMMAND LOVE! Love Is ETERNAL! When You Love Yourself, The Other You That You See Face To Face There Is No Judgment! But 40 Means Judgment! This Body I Am BORN AGAIN In To Will Be 40 Sept 5. God Does Not Have Pleasure In The Destruction Of The Living At The Work Of Our Hands! I Say Eat Drink And Awake, And Be Counted Amongst The Living! I Am About My Father’s Business! The Ministers Of Gods Words Are To BE HARMLESS! SPEAK TRUTH! Be Truth! Live Truth! Be FREE! I Am FREE! YOU SET ME FREE! I AM THE MOON! The Face Of This Body I Am BORN AGAIN Into Bears MIRROR IMAGE BIRTHMARKS Of The MOON! I Love You! Word Up! I Love Everything! Love Is All There Is! ONLY LOVE REMAINS! LOVE REMEMBERS NO WRONGS! DREAMS AREN’T MADE, DREAMS ARE WON! YOU ARE A DREAM COME TRUE! YOU ARE MY DREAM COME TRUE! I feel like it’s time for all the bad things between me and the man I love to be solved. So that we can go on, and make a future togheter. Also I feel like it is time for me to stop just surviving and start living! Blessings! Thank you not only for this grid but the other work you share as well. There seems to be a balancing aspect to this full moon. Aspects of doubling as well, I wonder if anyone else is seeing this? I found a blue jay feather in my path on my way home to add to my grid as well. I’ve learnt not to ask for what I want because it appears that I’ve always tended to want the very thing (or things) that was (or were) no good for me. I’m not asking for anything I want again, other than that all the horrible things that have happened to me, as a result of asking for what I wanted, are over. Things feel different today, so lets hope it stays that way, and if abundance, love and harmony do enter my life, in a way that brings me happiness, then it wont be because I’ve asked for it, it’ll be because that’s how it’s meant to be and I’m not asking for it.